Revision rhinoplasty is only necessary in about one out of thirty rhinoplasty operations need revision, but given that hundreds of thousands of rhinoplasty operations are performed in the United States every year, that means enough revision rhinoplasty operations happen that a facial plastic surgeon can specialize in them.Since this surgery is being done to improve on another surgeon’s work, or at least outcome, and since the tissues are likely to still be more fragile, only the best Charlotte, NC rhinoplasty surgeons do this work. Revision rhinoplasty isn’t always done because of a botched or ill-conceived operation. Things do sometimes go wrong during the recovery, such as accidents and respiratory illness. The bad news is that a revision rhinoplasty should not be performed until at least a year after the original surgery.Some of this time has already been spent waiting for the swelling to go down, but that still leaves a long time for the patient to live with a nose that might look worse than it did before. 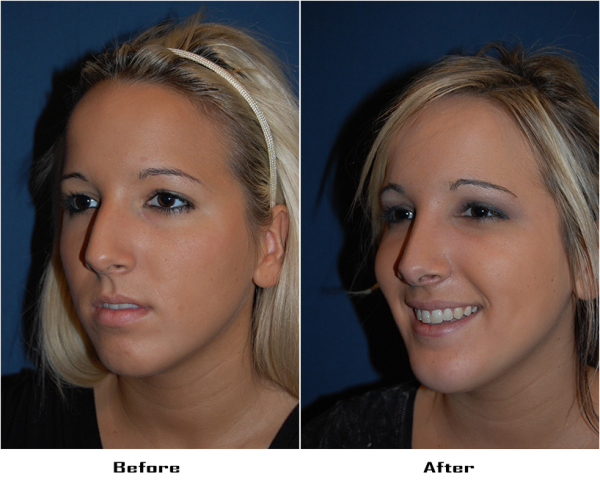 The procedures of revision rhinoplasty are very much like regular rhinoplasty. The recovery is also the same, but needing even greater care and effort to make it go smoothly.Make sure nothing, such as eyeglasses and pullover sweaters, touches your nose. Drink plenty fluids and get lots of sleep, keeping your head elevated while you sleep. Try not to do any exercise that might raise blood pressure in your head, such as lifting heavy objects or bending over. (Before you get the surgery, make sure everything you need on a day-to-day basis is at hand height, rather than on the floor. )Your nose may be too numb to feel sunburn, so don’t spend more time in the sun than necessary. Wash your hands often. Keep your in-person contacts with others to a minimum to avoid the risk of respiratory illness. If your surgeon prescribes medication to prevent infection, be sure to take it, and keep your follow-up appointments so your surgeon can check your health. Dr. Sean Freeman is Charlotte’s best rhinoplasty and revision rhinoplasty surgeon. He has been certified by two different boards of surgery, the American Board of Otolaryngology (head and neck surgery) and the American Board of Facial Plastic and Reconstructive Surgery. Since 1988 he has devoted himself entirely to facial plastic surgery, including nose jobs. Many of his patients have already had rhinoplasty done by other surgeons, and come to him for revision rhinoplasty to get the results they really wanted. If you need rhinoplasty, especially revision rhinoplasty, schedule your appointment today or ask for online consultation to get a discount on the fee.